Dr. Graeme Auton has been a Professor of Political Science at the University of Redlands since 1987. Dr. Auton has been a NATO Research Fellow and a Ford Postdoctoral Fellow in European Society and Western Security at Harvard's Center for International Affairs. 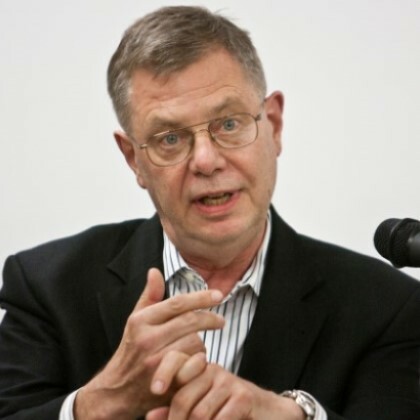 In the early 1990s he took leave from the University to work with the U.S. Arms Control and Disarmament Agency in Washington, Brussels and Vienna, where he focused on nonproliferation and European security issues. Since then he has traveled to the Russian Far East with a Fulbright-Hays Grant, and in 2007 was a Senior Fulbright Scholar at Kyung Hee University in Seoul, South Korea. Earlier in his career, Dr. Auton was coauthor of The Foreign Policies of West Germany, France and Britain and editor of Arms Control and European Security. He has a long list of articles to his credit, the most recent on the contagiousness of regional conflict in the Middle East in Columbia University's Journal of International Affairs (Summer 2016). He has just returned from the fall 2018 conference of the International Institute of Social and Economic Sciences (IISES) in Lisbon, Portugal, where he was keynote speaker. US News & World: Will 2017 elections shape global 'nationalism' trend?